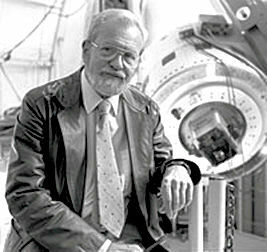 Mark O’Connell’s The Close Encounters Man examines the astronomer J. Allen Hynek’s scientific career and his parallel work in UFO research. O’Connell shows how Hynek, a skeptical advisor to the US Air Force’s UFO Projects SIGN, Grudge, and Blue Book, became an advocate for serious UFO studies and the founder the Center for UFO Studies. Project 1947 looks at the Hynek’s last contract with the USAF Project Blue Book UFO program. It wasn’t to be Hynek’s last USAF contract. After the Condon report, Hynek submitted a proposal to Col. George R.
Weinbrenner, Commander of the Foreign Technology Division at Wright-Patterson AFB to do a special study of UFOs. Col. Weinbrenner had invited such a proposal, perhaps as a diplomatic sop to Hynek at the end of his last contract or perhaps as a completely serious offer. However, indications were that Weinbrenner was supposedly sympathetic to UFO research. What the result of the Hynek’s proposal was continues to be unknown, but he was contracted by the Air Force for some work for the next four years 1970-1974.